While doing research for The First Lady and the Rebel, my forthcoming novel about Mary Lincoln and her Confederate half-sister, Emily Todd Helm, I visited the Kentucky Historical Society in Frankfort to look through Emily’s papers. 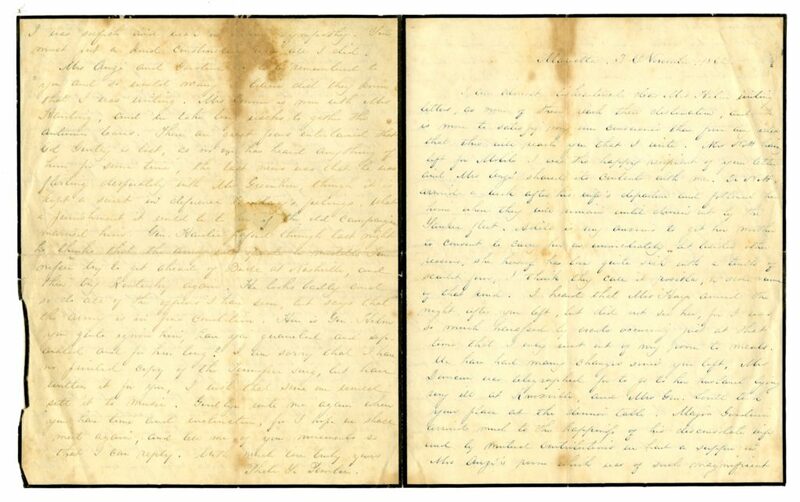 Among the many wartime letters addressed to Emily is this one from a famous correspondent: Phoebe Yates Pember, who served as matron of Richmond’s Chimborazo Hospital during the latter part of the Civil War. As far as I know, no historian has noted the connection between the two women. Phoebe was born to Jacob and Fanny Levy in Charleston, South Carolina, in 1823. 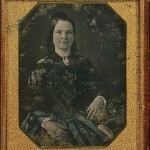 Before the war, she married Thomas Pember, a Bostonian, who died of consumption in Aiken, South Carolina, in July 1861, only thirty-six. 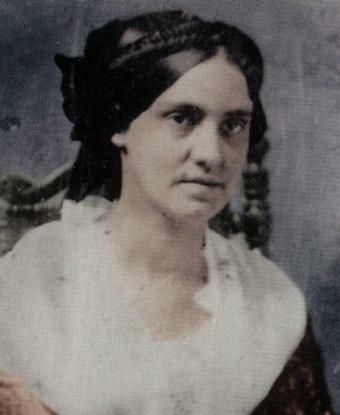 Widowed and childless, Phoebe returned to live with her parents, who spent the war in Marietta, Georgia, close to Atlanta. 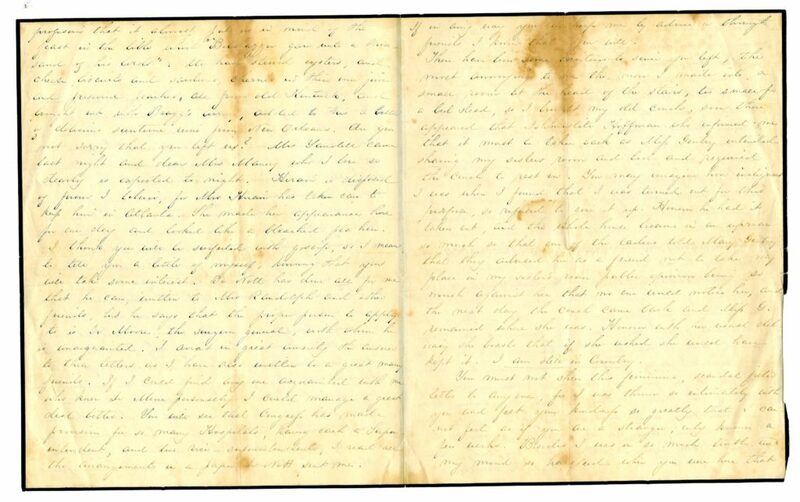 As this letter and others make clear, she was unhappy with this arrangement and was eager to secure an appointment to serve in one of the Confederacy’s hospitals. Just a few weeks after this letter was written, she got her wish and was making her preparations to move to Richmond. 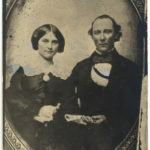 Emily Todd Helm and her husband, lawyer Benjamin Hardin Helm, were living in Louisville, Kentucky when the war broke out. Hardin, as he was called, joined the Confederate army and was eventually made a brigadier general. 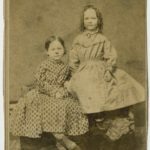 Emily and her daughters followed him South, sometimes staying with her sisters in Selma, Alabama (where Emily gave birth to her son in May 1862), sometimes boarding with others or living in hotels. At some point, as the letter from Phoebe shows, Emily stayed with Phoebe and her family. 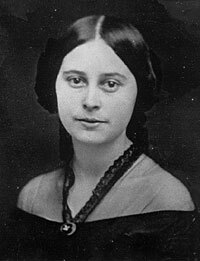 It is unclear when she was in Marietta, but my own belief is that she was there after August 1862, when her brother Alexander Todd was killed in a friendly-fire incident outside of Baton Rouge. During the same incident, Hardin’s horse fell upon him, badly injuring Hardin’s leg. 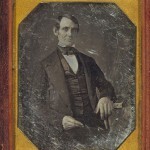 As Marietta in the 1860s was a health resort, Hardin might have well gone there to recuperate, accompanied by his family. I am almost disheartened dear Mrs. Helm writing letters, as none of them reach their destination, and it is more to satisfy my conscience than from any idea that this may reach you that I write. Mrs. Nott having left for Mobile I was the happy recipient of your letter and Mrs. Anzi shared its contents with me. Dr. Nott arrived a week after his wife’s departure and followed her home where they will remain until driven out by the Yankee fleet. Adele is very anxious to get her mother to consent to carry her on immediately, but besides other reasons, she herself has been quite sick with a touch of scarlet fever. I think they call it roseola, or some name of that kind. I heard that Mrs. Hays arrived the night after you left, but did not see her, for I was so much harassed by events occurring just at that time that I only went out of my room for meals. We have had many changes since you left. Mrs. Duncan was telegraphed for to go to her husband lying very ill at Knoxville, and Mrs. Gen. Lovell took your place at the dinner table. Major Goodwin arrived much to the happiness of his disconsolate wife and by mutual contributions we had a supper in Mrs. Anzi’s room which was of such magnificent proportions that it almost put us in mind of the feast in the bible which “Balazzar gave unto a thousand of his lords.” We had stewed oysters, and cheese biscuits and sardines, cherries in their own juice, and preserved peaches, all from old Kentuck, and brought out with Bragg’s army, added to this a bottle of delicious sauterne wine from New Orleans. Are you not sorry that you left us? Mrs. Yandell came last night and dear Mrs. Maury who I love so much is expected tonight. Hiram is disposed of fever, I believe because Mrs. Hiram has taken care to leave him in Atlanta. She made her appearance here for one day and looked like a bleached pea hen. I think you will be surfeited with gossip, so I mean to tell you a little of myself, knowing that you will take some interest. Dr. Nott has done all for me that he can, written to Mrs. Randolph and other friends, but he says the proper person to apply to is Dr. Moore the surgeon general, with whom he is unacquainted. I await in great anxiety the answer to these letters as I have also written to a great many friends. If I could find any one acquainted with me who knew Dr. Moore personally I could manage a great deal better. You will see that Congress has made provision for so many Hospitals, having each a Superintendent, and two Vice Superintendents, I read are the arrangements in a paper that Dr. Nott sent me. If in any way you can help me by advice or through friends I know you will. There have been some excitements since you left, the most annoying to me the move I made into a small room at the head of the stairs, too small for a bedstead, so I brought my old couch, soon appeared that Ishmaelite Hoffman, who informed me that it must be taken back as Miss Gentry intended sharing my sister’s room and bed and required the couch to rest on. You may imagine how indignant I was when I found that I was turned out for this purpose, so I refused to give it up. However, he had it taken out, and the whole house became in an uproar, so much so that one of the ladies told Mary Gentry that they advised her as a friend not to take my place in my sister’s room public opinion being so much against her that no one would notice her, and the next day the couch came back and Miss G. remained where she was. However, with her usual delicacy, she boasts that if she wished she would have kept it. I am still in Coventry. You must not show this feminine, scandal filled letter to anybody, for I was thrown so intimately with you and felt your kindness so greatly that I cannot feel as if you are a stranger, only known a few weeks. Besides I was in so much trouble and my mind so harassed when you were here that I was selfish and weak in seeking sympathy. You must put a kind construction upon all I did. This entry was posted in American Civil War. Bookmark the permalink. So interesting and love the connect you have made. Would say her letter was newsy, as would be written to a family member or friend, not gossipy, as she dubbed it. Emily was a lovely woman.